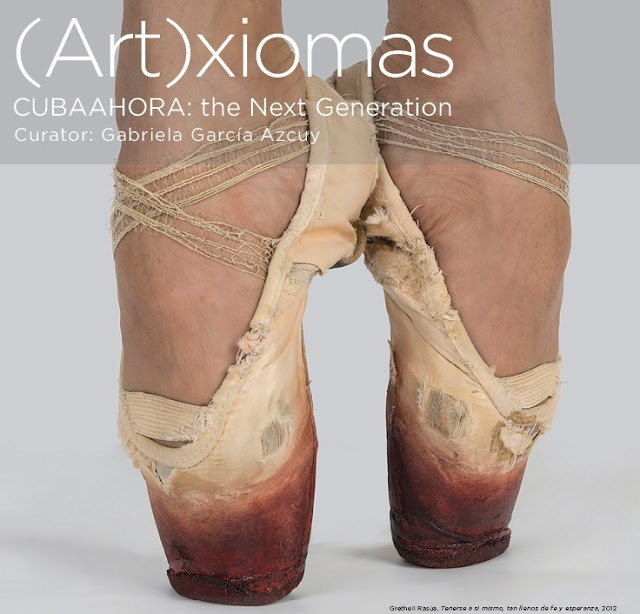 (Art)xiomas - CUBAAHORA: the Next Generation, is an art exhibition at the beautiful Art Museum of the Americas (AMA) which opens June 9, 2016 and displays the work of 15 Cuban contemporary young artists. It's not that common to have so many Cuban artists together around the DMV - in fact, the last time that I can remember so many Cubanos in one show was when we curated the epic "From Here and From There: De Aqui y De Alla" more than a decade ago at the Fraser Gallery. That show for the first time brought to the capital region many of today's leading contemporary Cuban artists... a generation or two before the ones that AMA will showcase next month -- many of the artists in that earlier show had strong dissident voices, fueled by Cuba's "Special Period" in many cases, and they were courageously using their artwork to reflect the realities of their life on the island, or as part of the Cuban Diaspora around the world. That show was a spectacular success, and many of those pieces now reside in museums around the United States and Latin America, thanks to the generosity of the collectors who bought the entire show, and then, throughout the years, have donated the work to public institutions. Art Museum of the Americas is showcasing these "new"
The show has been curated by Gabriela García Azcuy. 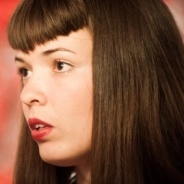 (Art)xiomas includes installation art, video, photography, sculpture, painting, performance, among others. The meaning of 'axiom' is a self-evident truth. These recent graduates of Cuba’s University of the Arts, now in their 30’s, face their realities with a new gaze, free of political elements that nonetheless penetrate their works, their discourses are more autobiographical than politically contextualized. Moreover, they reconcile their independently managed studios and work with government cultural organizations and international galleries and institutions. There's a little double-talk in that news release statement, which is a very Cuban thing. They are apparently "free of political elements", and yet those political elements "nonetheless penetrate their works." That's Cubanese for you! More translation: When they "reconcile their independently managed studios and work with government cultural organizations," that means that they carefully navigate the heavy hand of Cuba's brutal dictators, which curiously enough sometimes seem a little lax when it comes to artwork (unless you're Tania Bruguera, or Danilo Maldonado, a Cuban artist known as "El Sexto," who has been imprisoned since December 26th, 2014)... and I can go on and on. I am really excited to see this show and will write more about it after I attend the press preview. (Art)Xiomas will open June 9 at AMA and the opening reception, free and open to the public is Thursday, June 9 6-8pm. Details here. n Reyes, Roger Toledo, Gustavo del Valle, Josuhe Pagliery, Grethell Rasúa, and Harold García. All of them, except Roger Toledo, are coming for the opening of the show. I am familiar with the work of several of the artists, such as the skilled paper cut-out works by Ariamna Contino, and the very talented (and sometimes Bettie Page doppelgänger) Mabel Poblet Pujol, and others, but will also be discovering some new talent at this show.